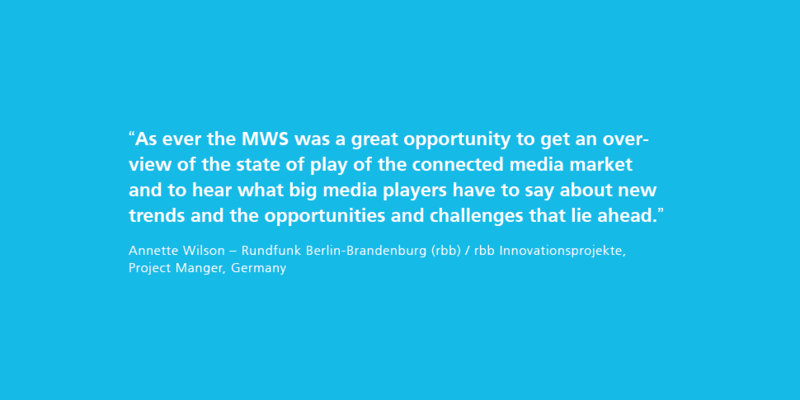 From May 15 to 16, 2018, Fraunhofer FOKUS invited to the 7th FOKUS Media Web Symposium. 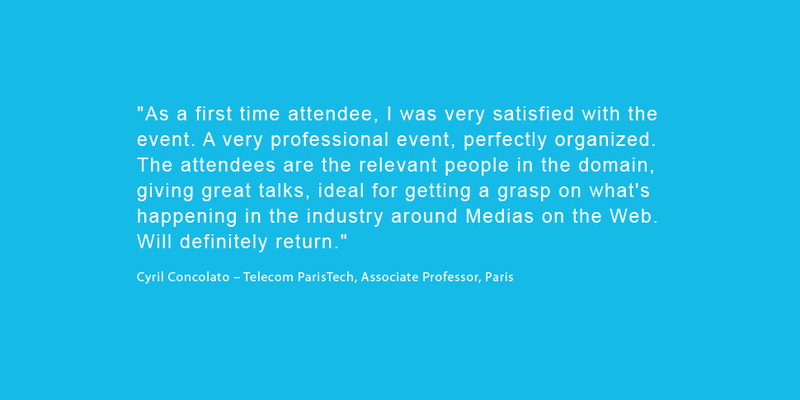 Year after year the conference attracts more than 200 international media and technology experts from all over the world to present and discuss current trends. 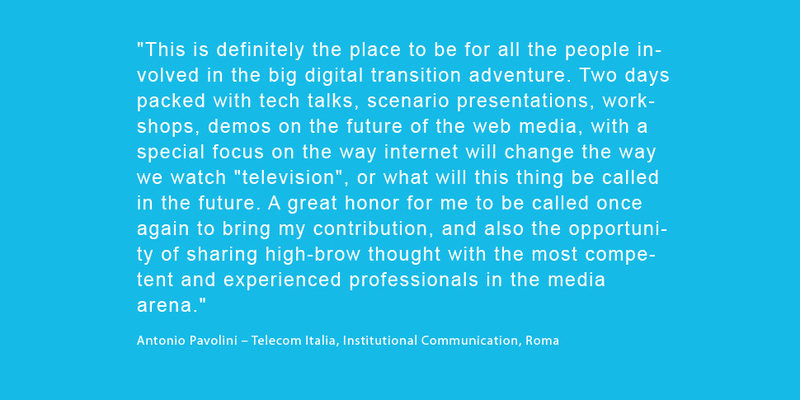 This years focus was on Video Streaming Tech, 360° Video and Virtual/Augmented Reality. 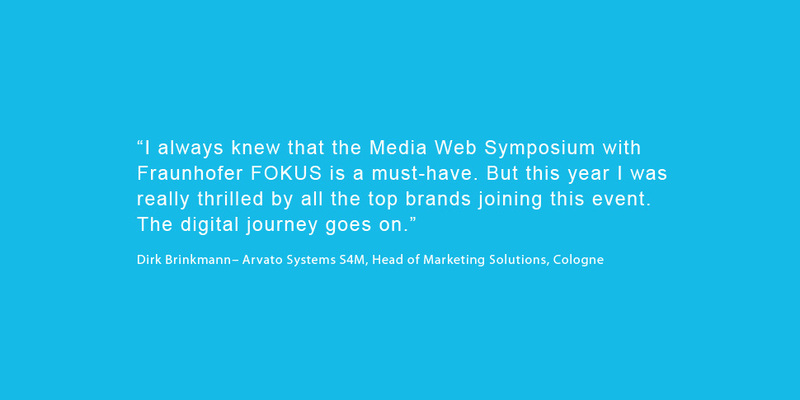 Since 2010 the FOKUS Media Web Symposium has become an absolutely not-to-be-missed on the Video Tech calendar. 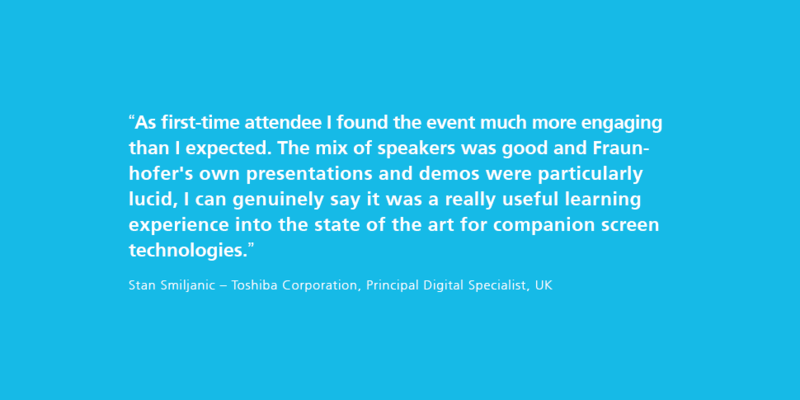 We were pleased to welcome more than 200 participants from 20 countries this year who listened to and discussed interesting topics in 3 tutorials, 2 workshops and the conference with 40 speakers. During the two symposium days, technical aspects as well as trends and business related aspects of the new technologies are being presented and discussed. 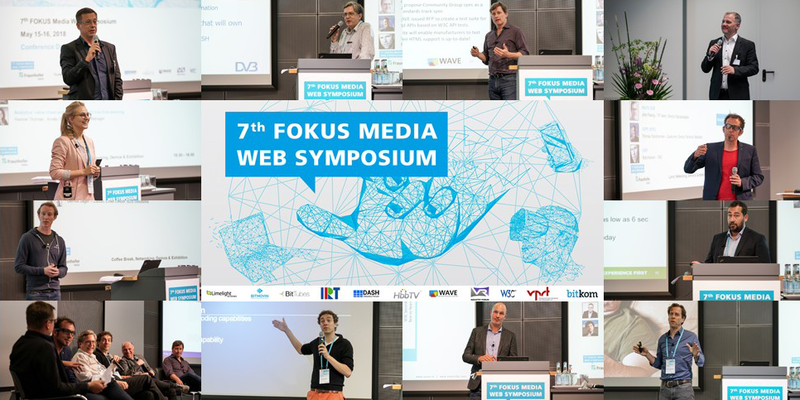 The main themes of the 7th FOKUS Media Web Symposium were the latest developments in Internet delivered Media such as 360° Video, Video Streaming and Virtual/Augmented Reality. 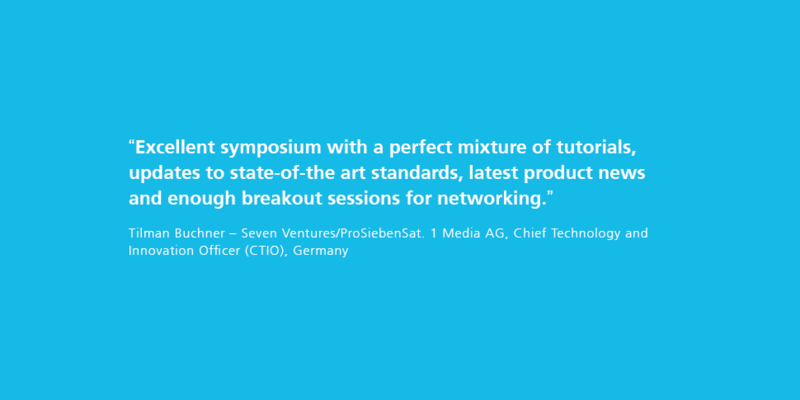 The tutorials, workshops and conference day also offered the latest insights in future challenges, opportunities and standardization. In the exhibition area, sponsors and partners as well as Fraunhofer FOKUS showed their latest developments and solutions. 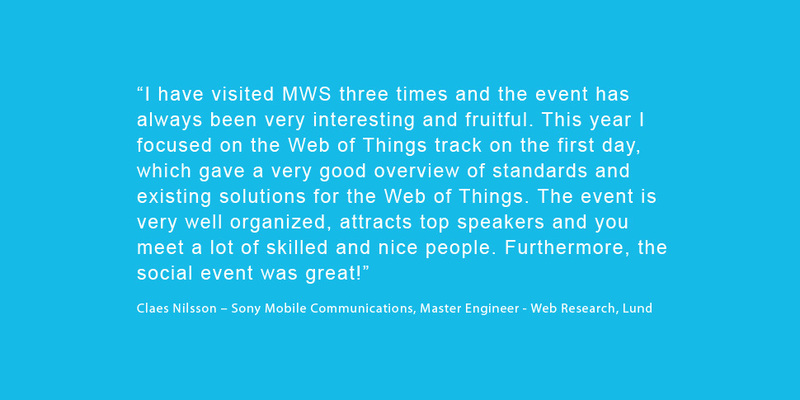 During coffee breaks and lunch, the opportunity to network was very well received. 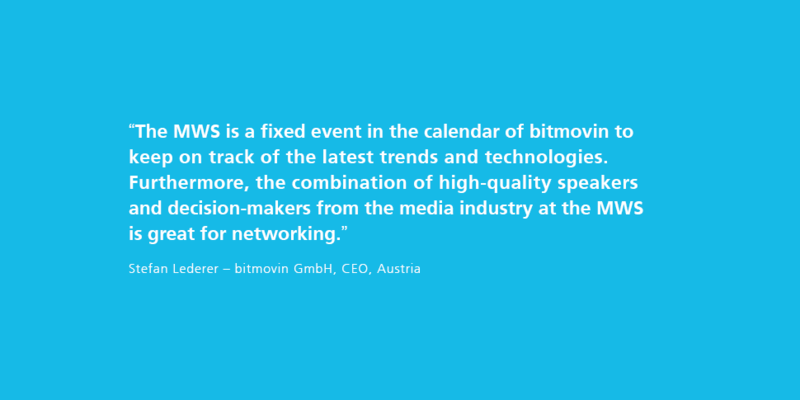 Many thanks go to our sponsors and supporters that made the event possible: BITMOVIN, Limelight, BitTubes, IRT, DASH-IF, HbbTV, WAVE, W3C, VRIF, VPRT and bitkom. Hand in hand with the 7th FOKUS Media Web Symposium event Fraunhofer FOKUS hosted face-to-face meetings for working groups of DASH-IF, dash.js and W3C Second Screen Working Group. 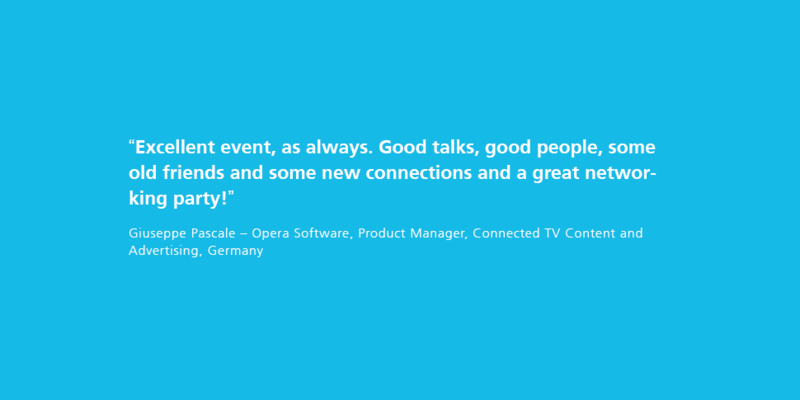 For impressions of the event, have a look at our program or at the photo gallery. 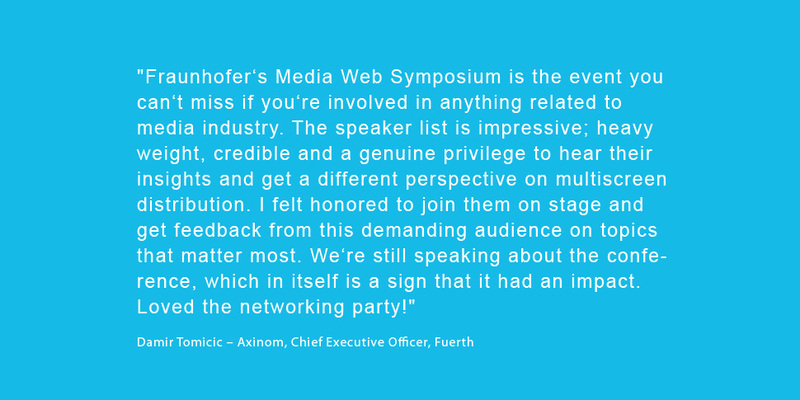 To stay informed about coming events, including the 8th FOKUS Media Web Symposium 2019, and news of Fraunhofer FOKUS FAME, please subscribe to our newsletter.